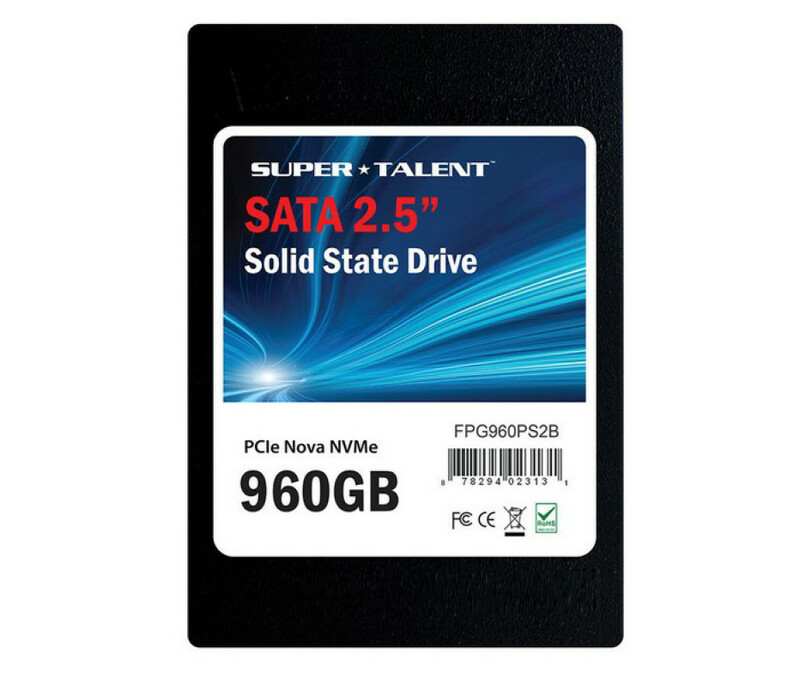 The US maker of memory products Super Talent has announced the new Nova family of solid-state drives. The catch here is that you likely won’t be able to use one of these drives in your home computer because they have been designed for servers and workstations. The Nova SSDs all employ U.2 connectors and MLC NAND flash memory inside. The lineup will include a number of drives, which offer capacities from 120 GB up to 1920 GB. Super Talent has, however, not disclosed the manufacturer of the memory used or the memory controller inside, which leaves us guessing. Still, the company promises sequential read speed of up to 3 GB/sec and sequential write speed of 2.2 GB/sec as well as 1 million hours of Mean Time Before Failure (MTBF), which is in line with consumer storage devices. As for dimensions, all Nova SSDs are housed in 2.5-inch chassis and are 9 mm thick. There’s no information how much these new SSDs will cost.